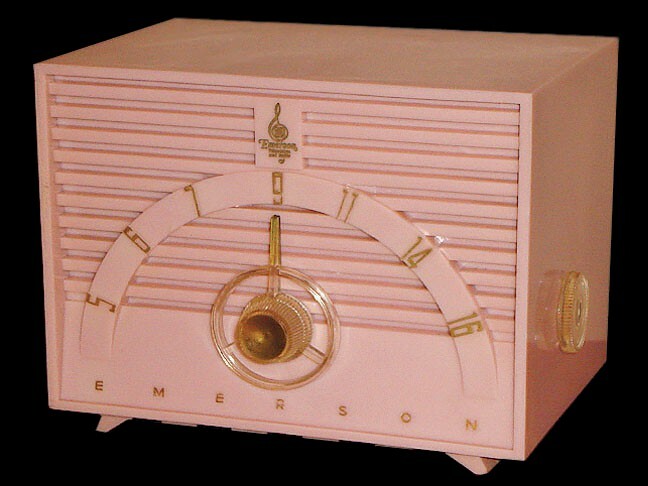 Great looking pink plastic five tube AM only radio. Nice look and sound to this litle gem. 6-1/2"W x 5"D x 5"H.
You are visitor number 2,710 to this page.